JMRI can connect to a Digirails DR5000 Digicentral command station via a network connection or USB connection. You may optionally change the connection name to "Digirails"
First, make sure your computer has the correct USB drivers installed. Turnout, Sensor, Signal and Throttle support is available for a JMRI-connected DR5000 unit. The Digirails DR4018 decoder can drive turnouts with several protocols. The Digirails DR4018 decoder can be configured for signaling using DecoderPro. 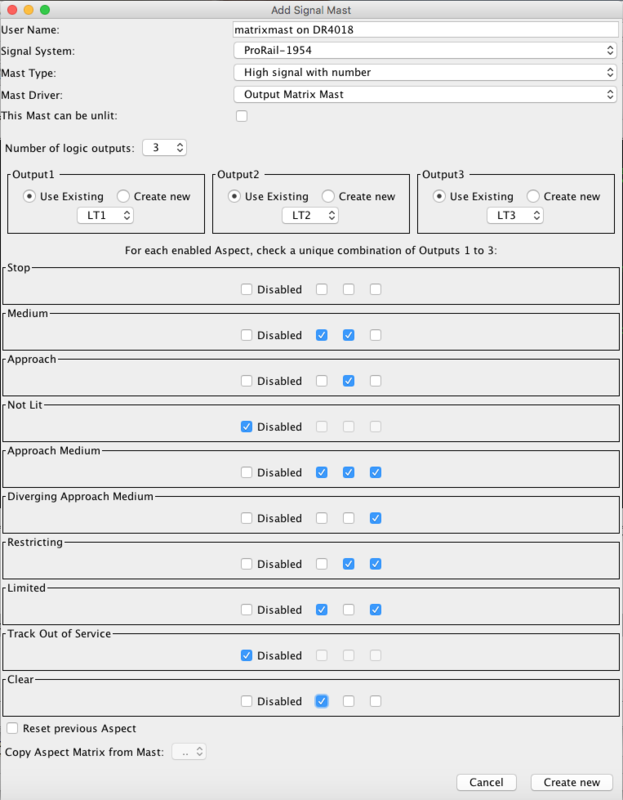 To configure the signal Masts, use the Matrix Signal Mast driver.